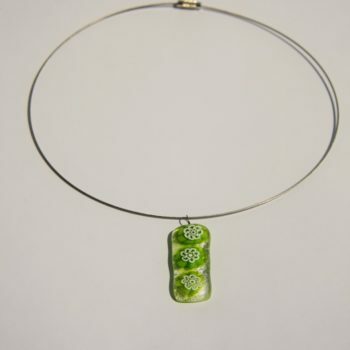 Unique necklace made from fused murano glass with flowers. 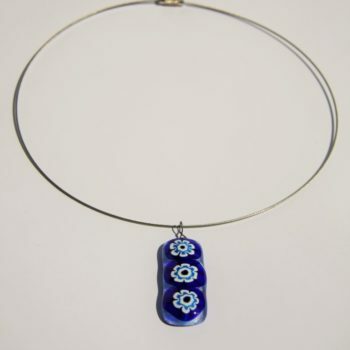 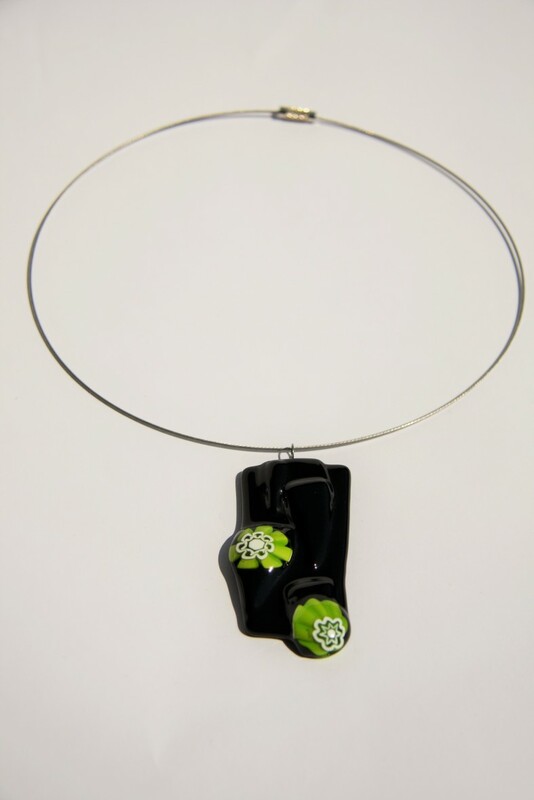 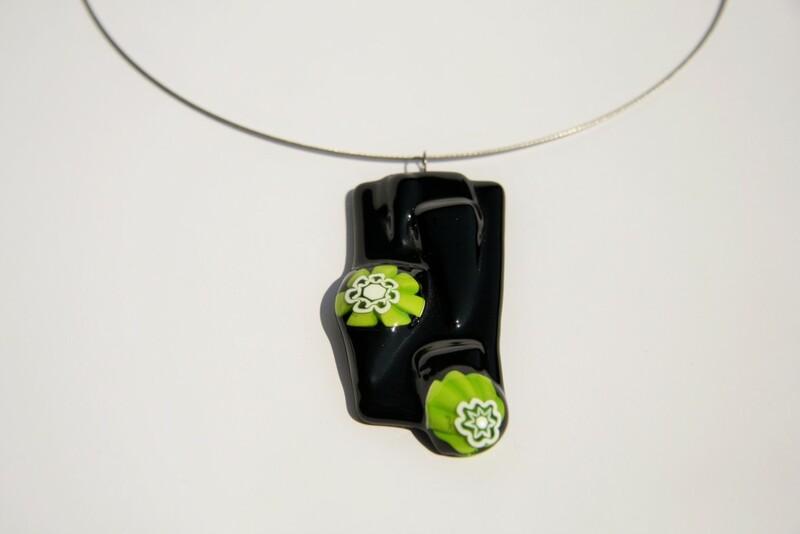 Design of the necklace is tender and unique – it is made of melted murano glass. 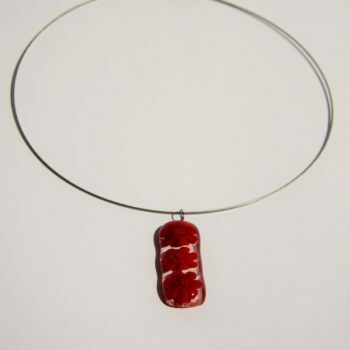 Although glass is fragile by its nature, the glass jewelry is firm, and it shines magnificent. 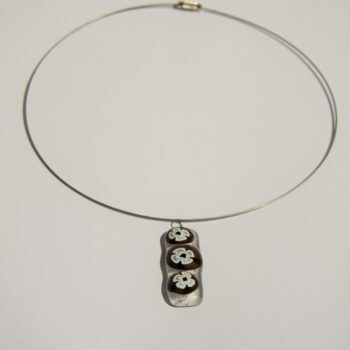 Metal parts do not content nickel.